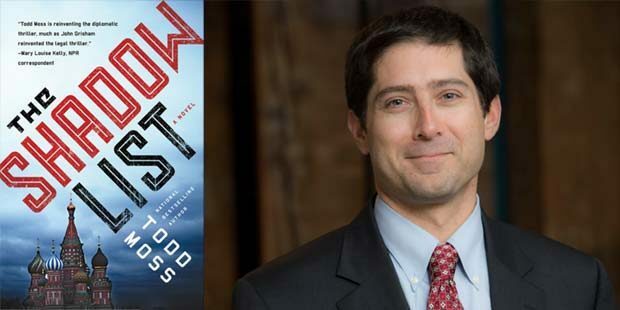 “The Shadow List” by Todd Moss is an international crime novel. Unlike other thrillers, this takes place in the non-traditional place of Nigeria with the non-traditional hero, Judd Ryker, heading the State Department’s Crisis Reaction Unit. As a former deputy assistant secretary of state in the African Bureau, Moss is able to use his experience to help with the story. Although this story can be read as a stand-alone there are some scenes that will be more understandable if the earlier books are read. It might be more helpful to learn the backstory on the characters and their motivations. The two main characters are married with one working for the diplomatic corps and the other for the CIA, both in specialized units. They try to keep their jobs separate but as the story progresses their paths cross in a deadly way. The plot had Judd tasked to rescue a kidnapped Wall Street consultant and a pro basketball player. At the same time, his wife Jessica is sent on a mission to discover who is the Russian mobster nicknamed “the Bear” and what are his intentions. Both he and his wife will end up in Nigeria together connected by a Nigerian Judge who is combating corruption in his country. There they realize how far each will go to save the good guys and thwart the bad guys. The main characters are smart and appealing. The plot is exciting, captivating, and intriguing. Readers will enjoy a change of pace where diplomacy intertwines with the action.